Read Full Article, The New York Times. Deep Water Horizon Response is the official site of the incident in conjunction with BP, DOI, NPS, USGS, CDC, USFWS, NOAA and other branches of the US government (collectively called Unified Command). Information, including the latest news, photos, area plans, and volunteer information. NOAA is a government program that uses science and research to protect life, property and natural resources. This NOAA site provides maps of the spill and related statistics, including a trajectory forecast map for the oil spill. The Environmental Protection Agency provides data on Air, Land, and Water pollutants including sampling maps and contaminant levels. Volunteer Louisiana is the official site for the State of Louisiana to get involved in the spill response. The Louisiana Department of Wildlife and Fisheries provides maps of closures to fishing areas in LA. The Louisiana Emergency Office has made Google Earth files of the spill available to the public here http://gohsep.la.gov/oilspill.aspx and also has current information on general closures of waterways, photos, and reports. The Oiled Wildlife Care Network is a CA based non-profit is advising folks in the Gulf of Mexico on best practices and provide resources on how people can help. The Coalition to Restore Coastal Louisiana is a non-profit organization who strive to protect and restore coastal Louisiana. Volunteers are needed for numerous actions including: monitoring, oiled wildlife recovery, boat driving, or simple monetary donations. The Greater New Orleans Foundation is a philanthropic organization in Louisiana and the surrounding region that joins with other non-profit, foundations and community and government officials to address the needs of the community. The Foundation has opened the Gulf Coast Oil Spill Fund. The Louisiana Bucket Brigade is an environmental health and justice organization working with communities near oil refineries and chemical plants. They aid residents in these regions to reduce pollution and protect public health. The Brigade has formed an incident map where you can report observed signs of oil. The Alabama Coastal Foundation is an education based organization whose mission is to project the quality of Alabama’s coastal resources. They are currently training volunteers to help directly with the spill response. The site by the Alabama Governor’s Office of Faith-Based and Community Initiatives gives basic phone numbers. The Mobile Bay National Estuary Program is an organization funded by the EPA fighting the environmental challenged facing Mobile Bay. This site gives e-mail addresses and phone numbers to help and provides basic information. The Mobile Bay Keeper is a group of citizens who are interested in preserving the Mobile Bay watershed as well as protecting the health of the individuals and environment in the Bay. Check out the latest information about the spill and learn how to become a member and donate to the cause. The Volunteer Mississippi site allows citizens to sign up for volunteer training. The Florida Department of Environmental Protection is the lead agency in FL and this website provides the most thorough information in the state. Volunteer Florida, the website of the Governor’s Commission on Volunteerism and Community Service and the State Emergency Response Team, lists volunteer opportunities by county. The Escambia County site provides summary points of actions taken by BP and FL with a focus on the County. The Pinellas County site is a concise list of related local websites and numbers for information. Volunteer directly with the largest wild bird hospital in the United States, the Suncoast Seabird Sanctuary. Audubon is a global leader in protecting birds and other wildlife and their habitats. They are partnering with other organizations. The Sierra Club is a grassroots environmental organization that works to protect communities, wild places, and the planet. Updates on the oil spill, as well as volunteer and donation information. The Nature Conservancy is a conservation organization with a mission to preserve and protect ecologically significant lands and waters for nature and people. Learn more about the oil spill and how to help out at http://www.nature.org/wherewework/northamerica/states/alabama/features/oilspill.html and check out their blog. Sea Grant is nationwide network (administered through NOAA) of 32 university-based programs that work with coastal communities on environmental stewardship and the responsible use of our coasts. The Gulf of Mexico Sea Grant Programs provides resources to educators with research that may be impacted by the spill. The National Wildlife Federation is America’s largest conservation organization whose mission is to protect and restore wildlife habitat, confront global warming and connect with nature. 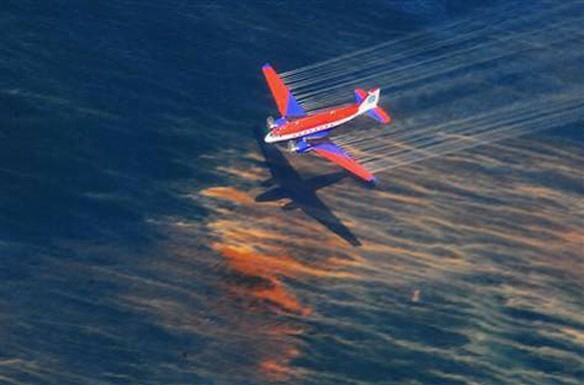 Get the latest information on the oil spill crisis and how to help. The mission of Tri-State Bird Rescue and Research is to provide rehabilitation of injured, orphaned, and oiled native wild birds to return to their natural environment. Donate to their research. Green Peace is an international organization that strives to save the planet from environmental threats such as global warming, destruction of forests and deterioration of the oceans. Follow their blog and learn how to take action. Global Green USA is an international environmental non-profit organization with an office in New Orleans that strives to fight global climate change, eliminate weapons of mass destruction and create clean, safe drinking water for all. Follow their blog and get involved. Matter of Trust is a non-profit organization focused on materializing sustainable systems by mimicking Mother Nature as well as concentrating on manmade surplus, natural surplus and eco-educational programs. Learn very simple ways to help the oil spill crisis. The official Facebook page of Unified Command. BP Gulf of Mexico response.